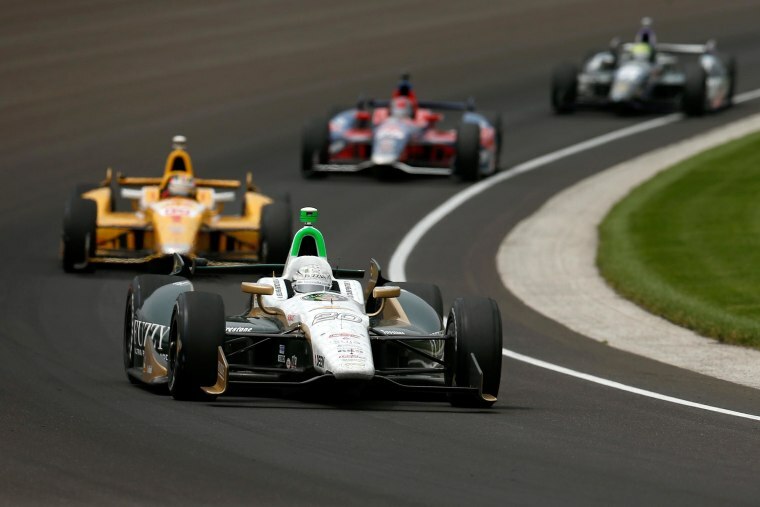 Amid the revving engines and high-speed laps of race cars at this weekend's Indianapolis 500 will come a message aimed at getting the House GOP to give the immigration reform issue some gas. A pro-immigration group of law enforcement, faith leaders and business owners known as Bibles, Badges and Business will launch its "No Excuses" ad campaign Friday through race day Sunday at the Indianapolis Motor Speedway, where it will be broadcast on an entryway Jumbotron. This Memorial Day weekend is the 50th anniversary of the storied auto racing event. Practices, pre-races and events featuring entertainers and auto racers are scheduled through the weekend. The raceway has seating for hundreds of thousands and the events draw a massive crowd. The video features Lake County, Ill. Sheriff Mark Curran, one of a number of sheriffs and police chiefs around the country who have publicly supported immigration reform and urged passage of legislation to help in law enforcement. Law enforcement officials often complain that they are unable to get cooperation in the immigrant community on investigations because of fears of deportation. "We need to solve this challenge now. No more waiting," Curran says in the ad that will run four times an hour, 12 hours a day for the three-day event, totaling 144 broadcasts. The ad is valued at $88,620, according to the group that is holding a news conference Friday on the ad. President Barack Obama has said Congress has a window of this summer to pass immigration reform, while House leaders say the American people don't trust Obama. On Thursday, Senate Majority Leader Harry Reid suggested a way to get immigration reform across the finish line: Congress should pass it now and make it effective in 2017 so it has the possibility of being enforced by a Republican president such as Sens. Rand Paul or Ted Cruz. House Speaker John Boehner repeated that the president needs to rebuild Americans' trust to get movement on the issue.